Date: Mar 30 2019, 7 p.m. 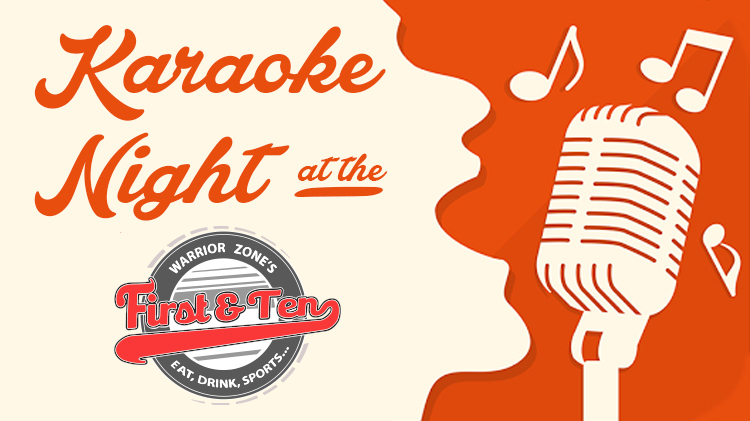 Sing your heart out at the the First and Ten Restaurant (located inside the McGinnis Warrior Zone) during Karaoke Night! The First and Ten Restaurant is open to the community ages 18 and over.